Having a home on the ultra-exclusive Carbon Beach in Malibu, California is a fairly solid and reliable indicator that you are doing OK for yourself financially. The beach has earned the informal name "Billionaire's Beach" due to this tendency towards giant mansions, so you can only imagine what it means for Oracle founder Larry Ellison's personal finances that he recently purchased his tenth home on Carbon Beach, according to Curbed Los Angeles. Owning ten homes on "Billionaire's Beach" is such an expensive feat that you might expect Ellison to skimp when it comes to the house itself, but it's not so: He reportedly dropped $48 million to acquire the five-bedroom, 7,700-square-foot house designed by Getty Center architect Richard Meier. Meier originally completed the home in 1986 for Lissette Ackerberg, widow of late real estate developer Norman Ackerberg, but she sold and vacated the property following the protracted legal battle over a public access point to the adjacent beach. The case didn't go her way, and in 2013 she was required to install the public access pathway (which was finally completed in 2015), and now the house belongs to Ellison. "L-shaped in plan, the house looks out over three adjacent courts: an internal courtyard connected to the living room, a tennis court, and a granite terrace. The major spaces of the compound gradually unfold from vertical to horizontal, like the sides of a box." 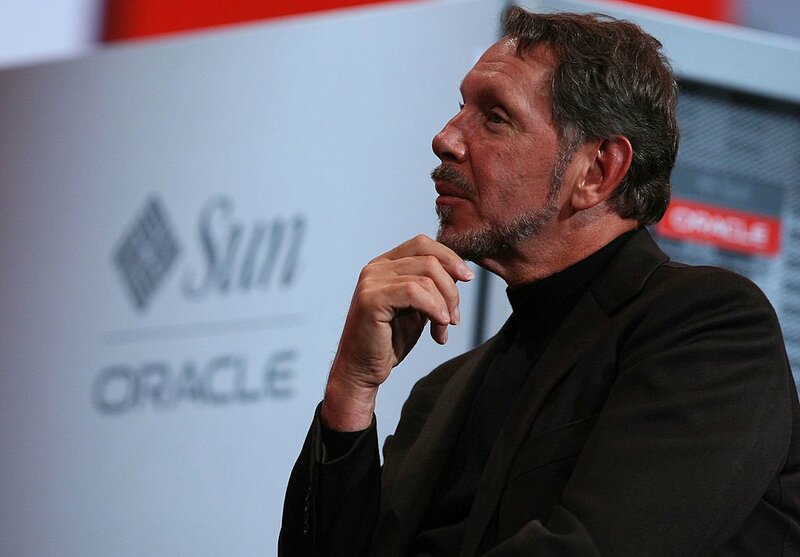 So one of the most expensive Ls of all time is now Larry Ellison's. Hopefully he has some kind of strategy for not accidentally walking into the wrong house, given that he now owns ten of them along the same extremely pricey stretch of beach.